Tara came to Portland from Egypt when she was a little more than a year old, and while she and her family were really close to their Muslim faith and Egyptian nationality, she always seemed to identify mostly as an American. Her closest friends were practically all non-Muslim and she spoke English at home. This “cultural straddler” identity was showcased to the world by what she chose to wear—the rainbow hijab and the hipster glasses—the long skirt and the oxfords. 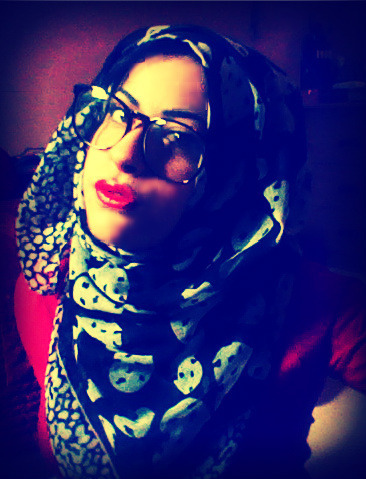 Hijab is the Arabic name for the aesthetic modesty required of Muslim women. 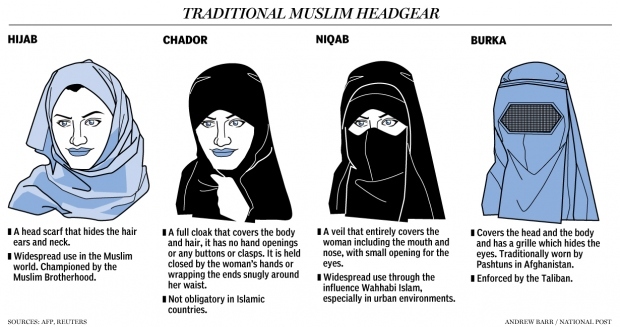 It’s also what we call the headscarf that covers a woman’s hair and neck. American Muslims decide to wear the hijab for a wide variety of reasons, not just as a symbol of the oppression of women and Islamic patriarchy (as many Americans tend to believe). A woman who wears a hijab in a country like the United States that often looks upon Islam in a negative light, is showing that she is so devoted to her faith, heritage, cultural background, family, religious freedom, and/or femininity, that she is willing to proclaim it to the world, and be reminded of it every time she looks in a mirror. Anybody who chooses to wear a burqa, niqab, hijab or any other Islamic vestment of modesty is showing that brave enough to put herself out there to possibly be judged, condemned, made fun of, or discriminated against. 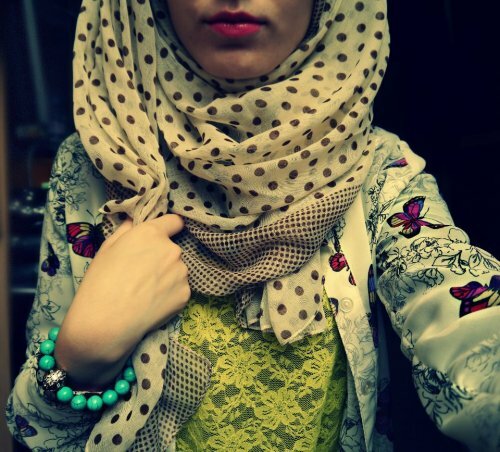 In addition to wearing the hijab, women often choose to wear loose and modest clothing that covers their arms, neck and legs. This can be frustrating for women because it is often uncomfortable to be so covered up (especially in the heat), and it also limits what kind of styles they can wear. Clothing companies have capitalized on solving this issue for hundreds of years, and recently, there has been an emergence of a new Hijabi-American style. Maxi dresses, baggy pants, leggings, pants with skirts, printed scarves, cool scarf ties, jumpers, glasses, accessories, grillz, long shirts, tunics, and special athletic clothing are some of the options for keeping cool, keeping warm, and diversifying outfits. 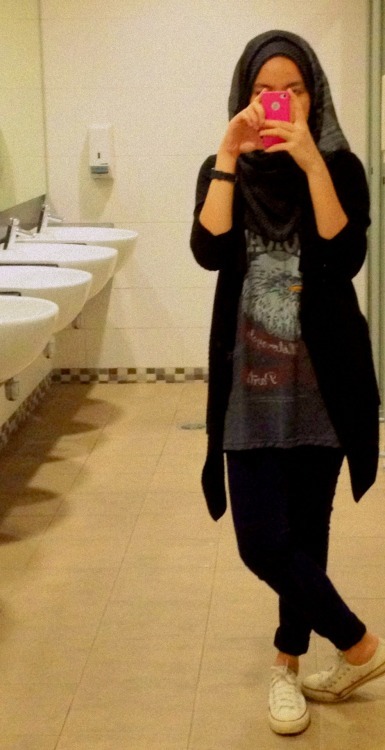 Especially with where today’s fashion is going, there are more and more stylish options for hijabis. 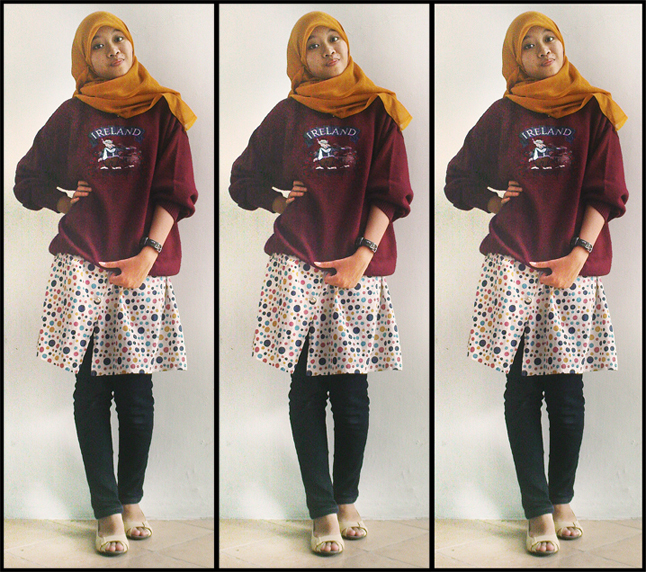 Online, there is a plethora of blogs where hijab-wearing women share their fashion tips and style ideas. Just Google it and you’ll see. Stylish Muslim women, like my friend Tara, don’t let the hijab prevent them from using fashion as a creative outlet and a means of expression. I learned from her that the hijab is just a reminder that no matter how Americanized one becomes, a Muslim American that should never forget her roots and her religion. 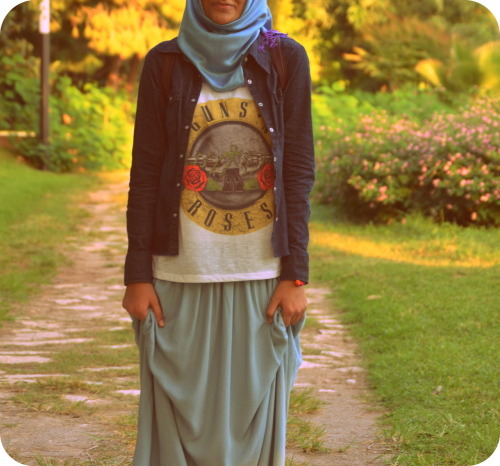 Tara used her hybrid sense of style to show the world that she was bothMuslim and hipster, both Arab and American. This post really taps into the core of what we have been talking about in sociology-105. Just like the men in the McIntosh suits, Pachucos, Pachucas, and Chicanas your friends is using fashion as a way to express cultural identity. I think that fashion is really overlooked when it comes to looking at passive forms of cultural expression. I think people often assume that people, especially youth, who wear traditional fashions are doing it because they feel that they have to, and don’t really consider that it could be a conscious choice to stick with tradition or even a fashion choice. I would be interested in exploring this idea within other youth groups in the US. The way that Muslim children face the possibility of discrimination for wearing their traditional clothes is especially interesting when compared to the market that grows out of fulfilling fashion-minded Muslim women’s desire for variety and style in their outfits. Not only are there stores made to satisfy their needs, but entire styles are created that are heavily influenced by these cultural requirements for modesty. The irony here is clear and intriguing; it is an example of society fearing and attacking the “other” unless it’s been culturally appropriated in a way we see fit. I admire your friend for taking pride in wearing her hijab in America. I know that a lot of my Muslim friends sometimes found it embarrassing while growing up. What I also find commendable is her decision to wear the hijab, as an honorable and respectful tradition towards her culture and family, even though she many not necessarily identify with the Islamic religious teachings. It would be interesting to study how such girls are received in different parts of the US in a post 9/11 period and during America’s current tensions with so many Muslim peoples.